A New Jersey company that operates 17 Houlihan’s restaurants in the state is being sued by the U.S. Department of Labor over claims that bosses were skimming tips from employees, to the tune of $40,000 that should’ve gone into tipped workers’ pockets, but instead were allegedly “unlawfully” distributed to non-tipped employees. The lawsuit, which also names the company’s president and part-owner as a defendant, alleges that A.C.E. 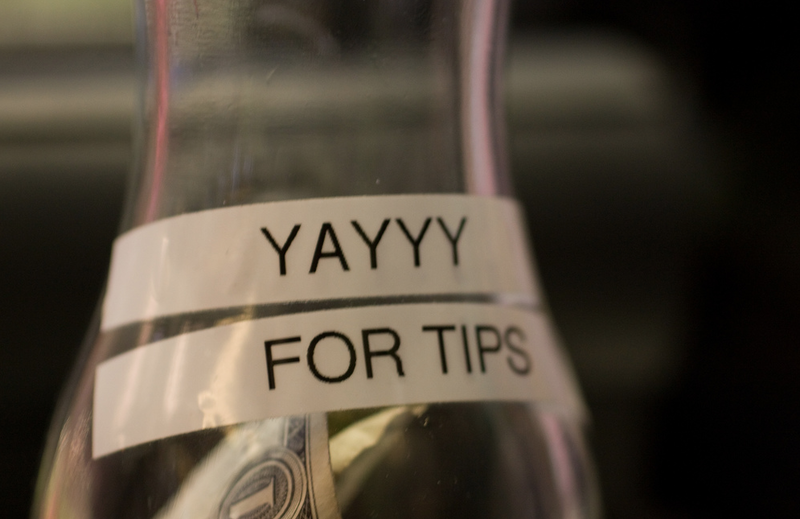 Restaurant Group required servers and bartenders at Houlihan’s to hand over a percentage of their tips for a tip pool, reports The Record. That pool was then divvied up to pay wages of non-tipped workers, like janitors, kitchen workers and management, in an alleged violation of the Fair Labor Standards Act. In one incident described that happened last year, the lawsuit says employees forked over $2,212 to the pool, but management handed back $1,877 to staff. Another location gave out $2,387 after receiving $2,594 in tips, the complaint claims. By May 2014, the suit says the defendants collected more $40,000 in tips that were withheld from its employees from all 17 locations. In addition to the allegations of tip skimming, the lawsuit also claims A.C.E. didn’t pay employees for overtime and took the cost of meals out of their paychecks — food they were also charged for. Some employees who were custodians allegedly received below the hourly minimum wage, the lawsuit claims. The Department of Labor is seeking reimbursement on behalf of 1,430 employees for unpaid minimum wages, tips and overtime compensation, an equal amount of liquidated damages, and for costs of the suit.